Scope Of B.Sc. Nursing In India – You must be curious to know about the scope of B.Sc. Nursing in India if you are planning to join the course. The wisest decision regarding a better future career is you take. Job opportunities and growth are higher in the field. Indian Healthcare is the largest employer and is having the most attractive work platforms with an increasing experience. Therefore, the scope of B.Sc. Nursing in India is also much wider. India is lacking at the skilled nurses in the healthcare sector. Because there is only 1.7 million nurses/1000 population in the country which is not as according to the WHO recommendation. There must be around 2.5 million nurses oper thousand of the population according to WHO. Overall there is a scarcity of over 2.5 million nurses in India. Therefore, if you are indulging yourself in the nursing vocational courses then you are having a bright career option. B.Sc. 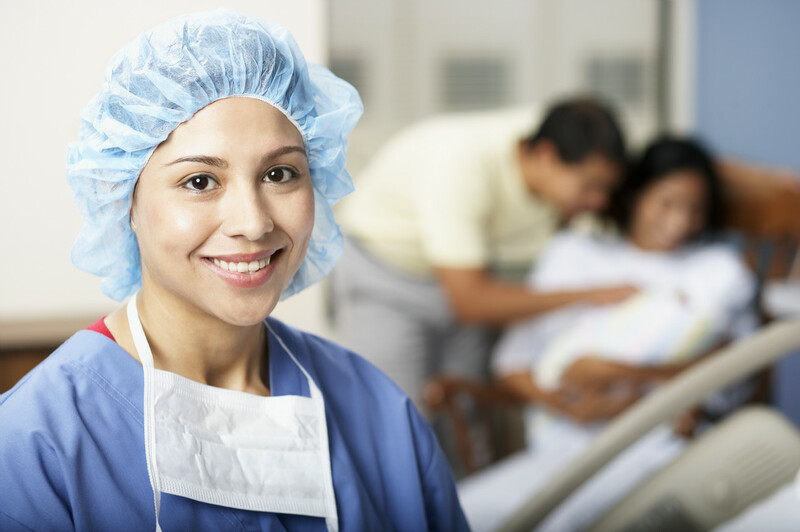 Nursing is the crucial step for your better career growth in the nursing profession. You can enjoy the scope of nursing in India when you are getting proper knowledge and training. You can get this only from the best nursing college in India. Mata Sahib Kaur College of Nursing is having a number of nursing career courses in its course list. Therefore, if you are inclined to join us, mail us on msk.mohali@gmail.com or talk to us on phone call on (9316088356, 8101000004). What are the scopes of B.Sc Nursing degree in India and abroad as well? What are the opportunities after a B.Sc. in nursing? You can get the B.Sc. nursing course details and work abroad scope for Indians. You must be looking for the best vocational course which can give you more work opportunities and growth. Adding one more answer to the most common confusion is B.Sc. nursing scope for male nurses which comes with more open opportunities for you all. The scope of a profession will always cover up all these things. So that you are eager to join a nursing course, the curiosity for knowing its scope must be there in you. As we have discussed the crippling scarcity of nurses in India, there is the same scenario on the global level also. WHO ranks India at 112 number in terms of the health system. Research statistics are showing that India will require around 2 million doctors and 6 million nurses in 2030. Therefore, job opportunities are expected to increase. There will be almost 40 million jobs till 2020 by India Healthcare industry. Therefore, your plans for the Bachelor of Science Nursing course in India will give you a more fruitful career. You can see a number of diversities and career options in nursing courses and profession. The career in nursing is recognized as a gateway to the bright future. Because the healthcare sector is the topmost employer, it provides huge employment platforms for unemployed persons and the B.Sc. nursing scope future in India is much wider than it is now. The career may also include higher studies or post graduation after B.Sc. nursing course. The B.Sc. nursing scope in India 2017-2025 is expected to go much wider and full of opportunities. Let’s experience the growth and success together and work for the welfare of the society at the same time. If we have to talk about the B.Sc. and M.Sc. nursing scope and salary in the USA, it’s quite high. We will be discussing the job prospectus first then we will tell you the higher studies options after B. Sc. Nursing. Have a look at some of the major nursing professions. Nursing advisors in the Government sector. Military Nurse and several other jobs are there in the field. In addition to these courses, there are other fields also which you can join as per your interest and choice. And one more thing we want to add here is brighter B.Sc. nursing scope for the male. Therefore, the males out there must also go for choosing the course for better work opportunities. Eligibility for nursing course will include your age which must be above 17 and below 37 years, and you must have completed your +2 in medical stream. An optimum fee structure which you have to pay here will be Rs 8000-30,00 per year. The duration of the course will be for 4 years with training period inclusion. Salary of a B.Sc. nurse will be around Rs 15000 and if you are working professionally as a teaching faculty will let you earn around Rs 12000. But this amount will increase with ease as your experience will increase and your skills as well. This amount will be more after a postgraduate degree in nursing. A government nurse salary in India is a little bit high than the private one and when we have to compare the B.Sc. nursing salary abroad with the B.Sc. nursing jobs salary in India, there is a noticeable difference. Undoubtedly you can find a number of options in the country for joining a nursing institute. But choosing the best nursing institute in India will enlarge your Nursing scope area. Therefore, the selection of the best nursing college alternative will give a better foundation for your nursing career. Mata Sahib Kaur College of Nursing ranks itself in the list of top B.Sc. nursing institutes in India. We acquire several qualities to be at that position. Scroll down to know these features. More advanced teaching aids usage. More importance to practical knowledge. Learning curricular and co-curricular activities. Internship with the best hospitals. Placement at higher packages in the medical field. So why are you losing the opportunity by making it more late? Contact us as soon as possible to reserve your seats to have the best nursing career in India and abroad as well. With us, you can explore each aspect i.e., Bachelor of Science course fees, eligibility, admission, syllabus, job, scope, salary, careers, and several other related things. And the better work opportunities you will be having and higher B.Sc. nursing and M.Sc. nursing salary in India and abroad as well.